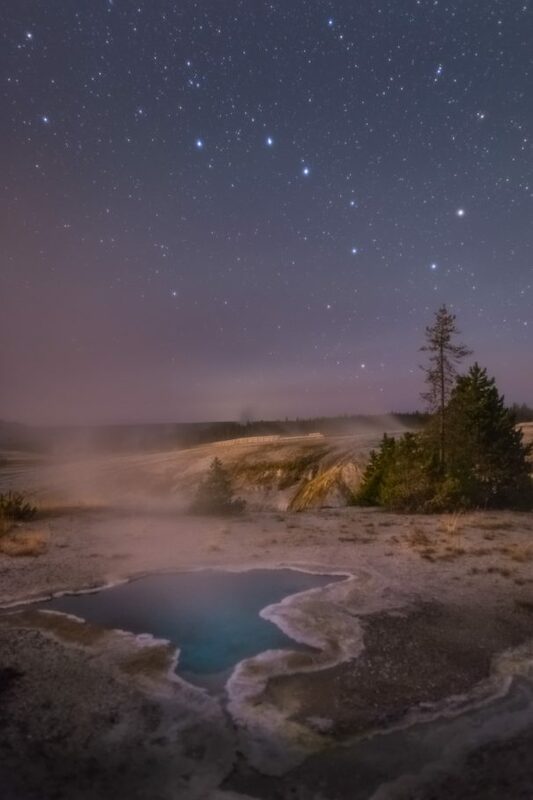 The Big Dipper above the Blue Star Spring in Yellowstone National Park. The night sky in Yellowstone is beautiful, with very low light pollution. Blue Star Spring is a pretty blue pool just behind Old Faithful.